Previous translations hardly did justice to Lispector’s “strange and unexpected language,” says Benjamin Moser. As too many international writers know, it’s rare enough to get one chance to be translated into English. It’s even rarer — almost unheard of — to get two. But thanks to devoted publishers in London and New York, Clarice Lispector, widely considered Brazil’s greatest modern writer, is about to get a second chance in English. Ever since I was 19 and first encountered her final work, The Hour of the Star, in a college Portuguese class, I have wanted to do something to make her better known outside her native language. I just wasn’t sure how to go about it, and I dithered for years. Was it better to start off with a biography, telling the story of her extraordinary life, and hoping to awaken interest that way? Since so few people in English-language publishing knew who she was, the risk was that nobody would publish it, or that it would be published obscurely and then disappear. Or was it better to translate her first, to let everyone know first-hand how great she was? But since so few people in English-language publishing knew who she was, the risk was that nobody would want my translations. And, with many of her works already in print, the project would have required the collaboration of both her estate and her existing publishers. I finally chose to write a biography, published in 2009 as Why This World. And almost immediately afterwards, Barbara Epler, publisher of New Directions, got in touch to talk about the translations. And soon thereafter, Alexis Kirschbaum from Penguin Modern Classics in London also expressed her interest: the project would be launched simultaneously in both the UK and the US. It may sound cheesy to say that this, for me, was a dream come true — but there’s no other way to put it. 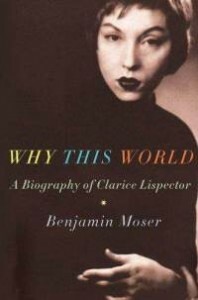 New Directions had published Clarice Lispector since the 1980s, but, as I explained to Barbara, there were many problems with the translations. The most basic one was one I had encountered when my book was translated in Brazil. Clarice’s language is so strange and unexpected that, from the beginning of her career, in the 1940s, many Brazilian critics though that there was something wrong with it. There was talk that she was a foreigner (she was, in fact, born in Ukraine, in 1920, but arrived in Brazil in earliest infancy) or that she was, as Elizabeth Bishop, her neighbor in Rio, assumed, more or less ignorant (she was actually one of the most highly educated and well-traveled women of her generation). And so people tried to “correct” her writing. No fewer than five Brazilian copy editors went through my biography — and all of them tried to edit Clarice’s own prose. Even almost seventy years after her debut, when her books occupy the highest rung in the Brazilian canon, she still sounds strange. This was the same problem I found many of the existing translations. Translators tried to smooth her out, to correct her odd punctuation and her weird phrasings. It’s an understandable impulse, but it does her a disservice: if you take out the weirdness of Clarice, you take out Clarice. Some of the translations, like The Hour of the Star, which I have just published in my own version, took this to an extreme, filling her every caesura with overly explicit phrasings that made her prose plodding instead of poetic. As I explained to Barbara and Alexis, another problem was that the translations had been done by very different people. Clarice’s voice, from her first stories written as a teenager to her final sentences scribbled on cigarette boxes and on the backs of cancelled checks, is unmistakably nobody else’s. In English, therefore, she must not only sound like Clarice in Portuguese: she also needed to speak with a single voice in English. We finally decided that I would translate The Hour of the Star and then invite other translators to do the other four books that would inaugurate the series. Johnny Lorenz, a Brazilian-American professor at Montclair State University, would take on Clarice’s posthumous A Breath of Life; Idra Novey, a poet who directs Columbia University’s Center for Literary Translation, would do the mystic classic The Passion According to G.H. ; Stefan Tobler, founder of the British publisher And Other Stories, has done Água Viva; and Alison Entrekin, the renowned Australian translator, would do Clarice’s famous first novel, Near to the Wild Heart. We deliberately selected a young group: there’s an urgent need for more translators from the Portuguese, and we thought that by giving some younger translators the chance to work with a classic author, we could expand the pool a bit and encourage other publishers to translate Brazilian and Portuguese literature. My task, now, is to shepherd their work into publication. I still have to make them sound like Clarice (and even the best translators try, even subconsciously, to smooth her out!) and to sound like one another. This is no easy task when not only dealing with four different literary personalities, but also people who speak three different dialects of English: British, American, and Australian. We’ve worked very hard, but we are convinced that this is the most important work of re-translation of a Latin American author since the translations of Jorge Luis Borges were published by Viking a decade ago. 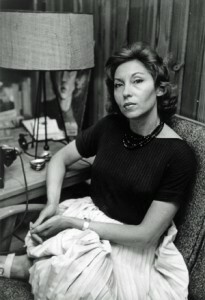 Elizabeth Bishop famously said that Clarice Lispector was “better than Borges.” While such comparisons are of course nonsense — writers cannot be ranked like athletes — we are convinced that this project will get many to take a first, or maybe even a second, look at one of the twentieth century’s iconic artists. DISCUSS: Does Collaborative Translation Mean More Accuracy? Guest contributors to Publishing Perspectives have diverse backgrounds in publishing, media and technology. They live across the globe and bring unique, first-hand experience to their writing.